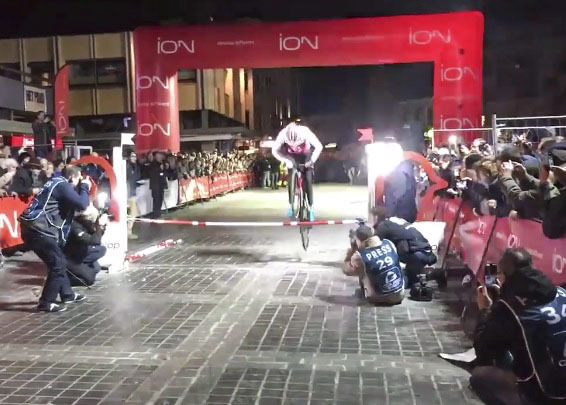 Mister High Jump Tom Meeusen was back and Helen Wyman got a memorable win at the 2019 Soudal Classics Masters race and year-end cyclocross party. 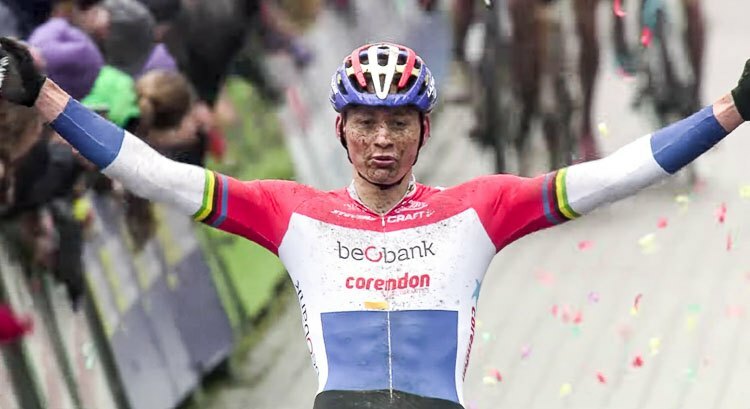 Van der Poel hasn’t lost a race since the 2018 Koppenbergcross. Could a new calendar year challenge his dominance and brilliance? 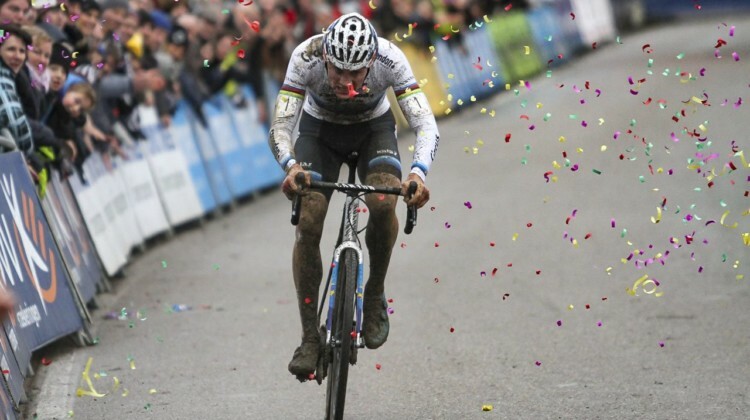 Full GP Sven Nys results. 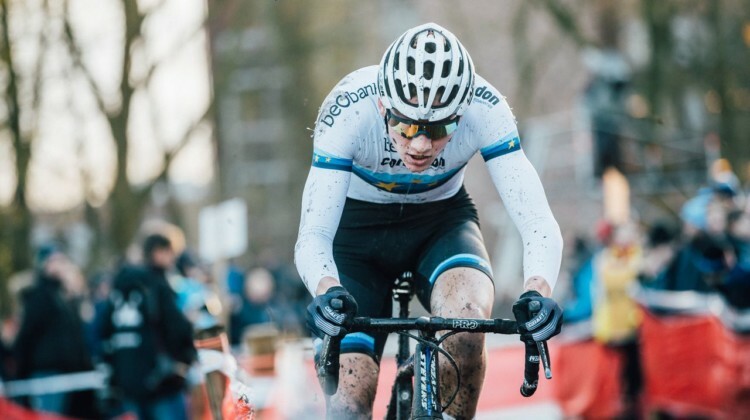 Tom Meeusen joined Mathieu van der Poel at the front for a team ride at Sunday’s 2018 Flandriencross. 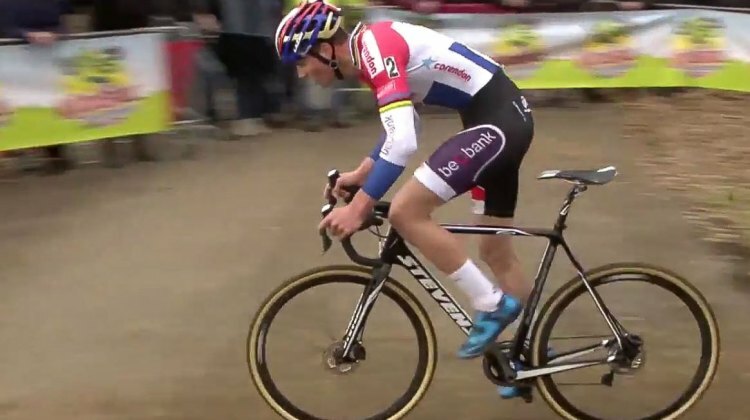 Van der Poel had too much in the end for the win. Toon Aerts dropped Wout van Aert in the sixth lap to win the 2018 World Cup Waterloo in Wisconsin. Get the full story, photos and results from Waterloo. Racing is heating up. 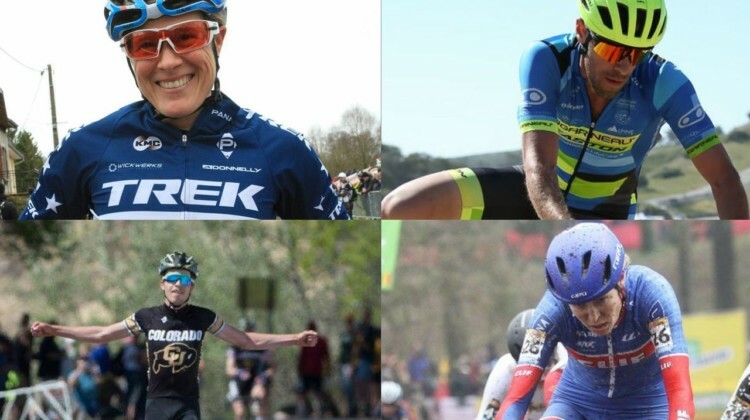 Katie Compton is heading to California, Craig Richey got a gravel win, Maghalie Rochette won the Utah XCO, Eric Brunner won Collegiate Road Nats and more. 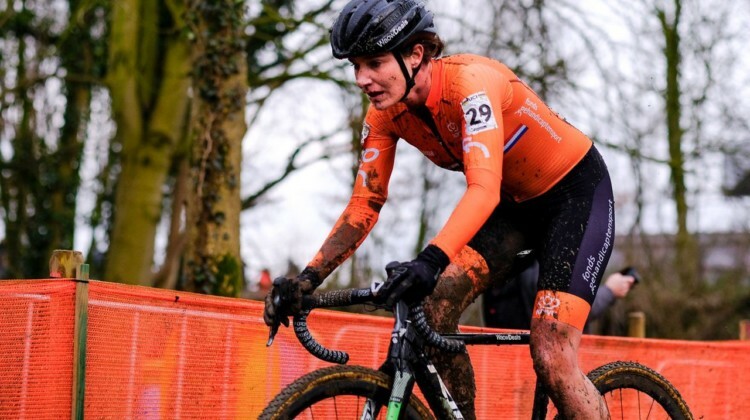 Mathieu van der Poel got his 30th win of the season and Laura Verdonschot her 1st at the 2018 Vestingcross Hulst, the penultimate race of the 2017/18 season. See full results. 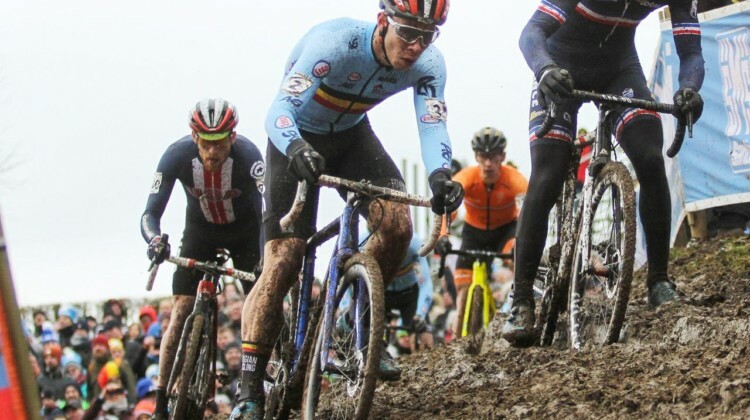 After a brutal Cyclocross Worlds, riders were back at it at the 2018 Brico Cross Parkcross Maldegem. 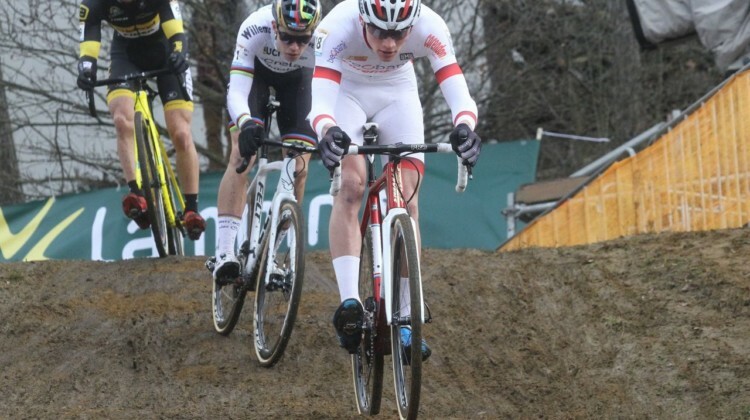 Get full results from the C2 race in Belgium. 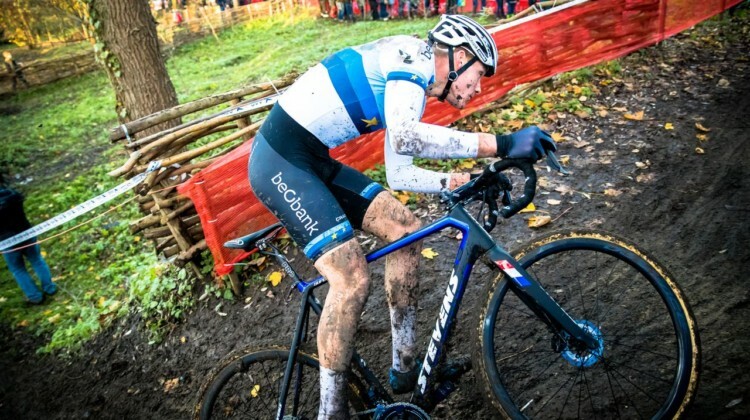 Flats at the 2018 Cyclocross World Championships were less common than 2017, but Laurens Sweeck still suffered five to deflate his podium hopes. We take a look at his rough day. Fantasy CX is back for the 2018 Cyclocross Worlds. 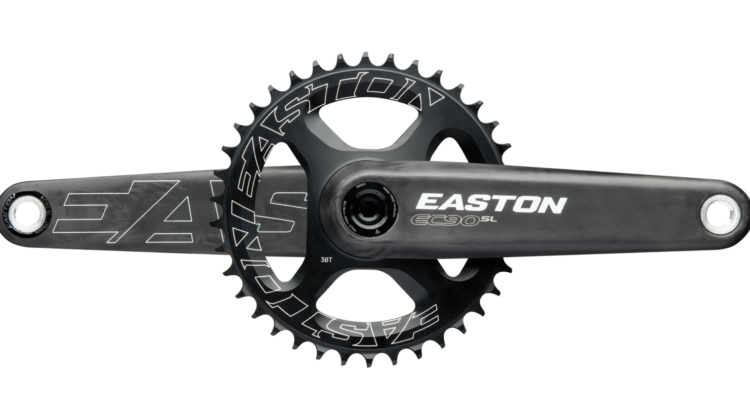 Enter your team, win 1 of 3 sweet Easton prize packages: EC90 SL Crankset, EC90 SLX & EA70 bar/stem combos. 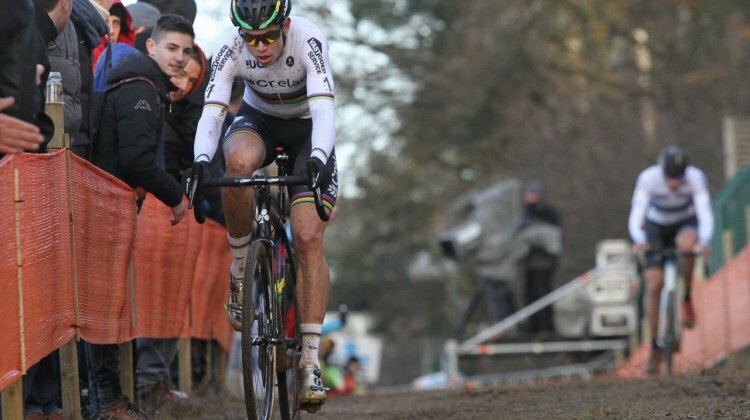 Watch: The 2017 Superprestige Diegem Elite Men’s cyclocross race video. 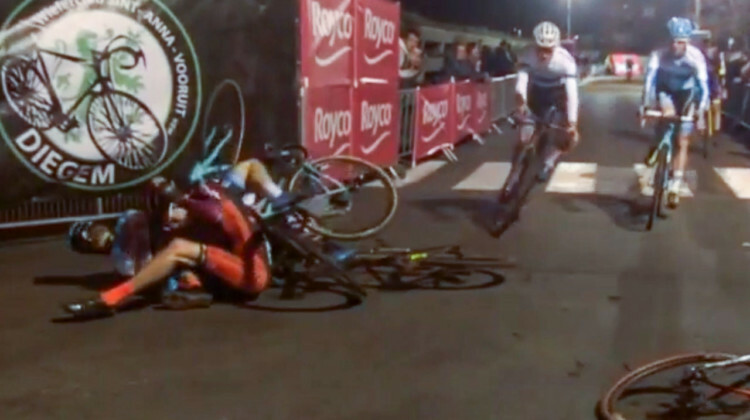 See the sport’s top stars and an impressive comeback from an over-the-bars crash. Would seven be lucky for Mathieu van der Poel at the 2017 Superprestige Diegem? He had to overcome an early crash if it was to be so. Get the story and results in our race report. 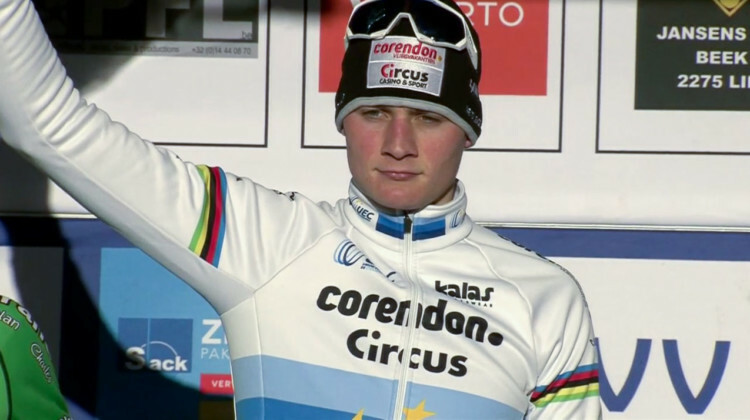 Mathieu van der Poel overcame a week-long illness to dominate the 2017 World Cup Zolder. Get the full story of his impressive ride in this race report. 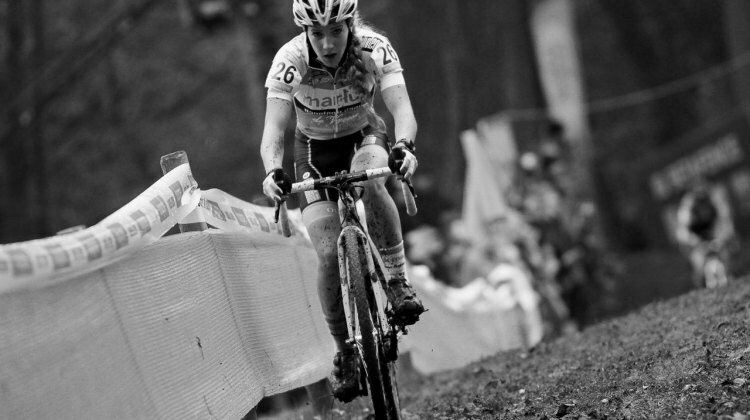 Sanne Cant ran, Nikki Brammeier rode and the advantage went to Cant. The gap was all Cant needed to win the 2017 IJsboerke Trofee Essen race. Get the story and results. 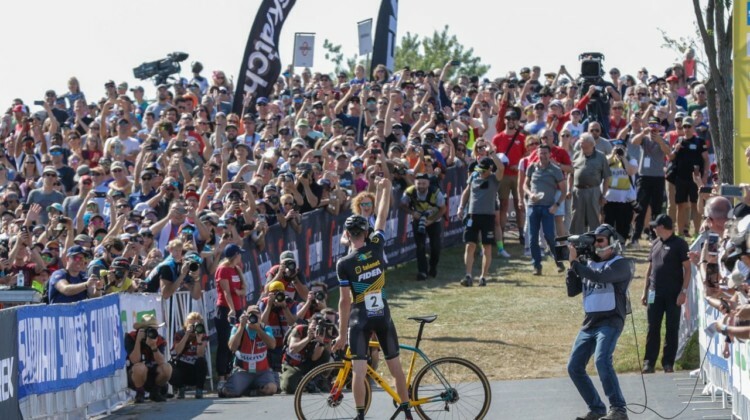 Kaitie Keough, Laurens Sweeck, Sanne Cant, Quinten Hermans all podiumed at the 2017 Jingle Cross World Cup. Hear about their rides in our interviews. 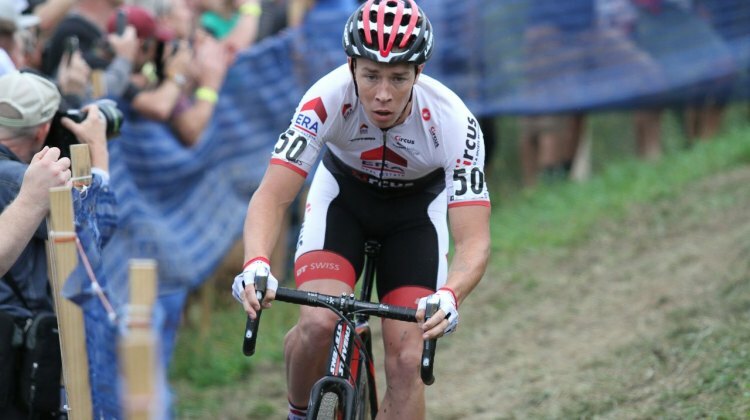 Laurens Sweeck attacked midway through Friday’s race at Jingle Cross and made it stick. Hear about his win in our post-race interview. 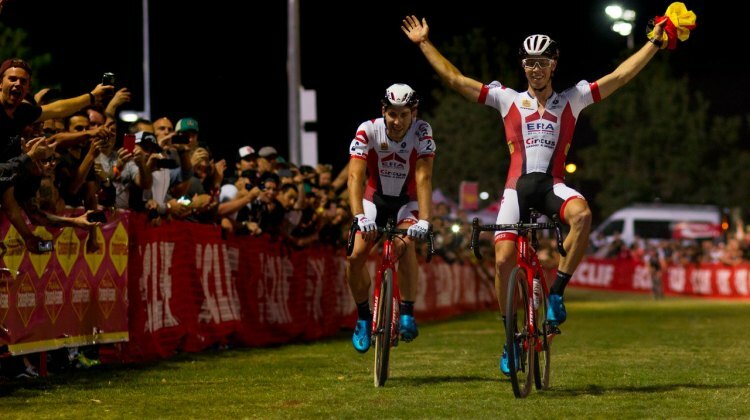 Laurens Sweeck got a gap half-way through Friday night’s race and exploited it to win the opening C1 race at the 2017 Jingle Cross. Read the race report. 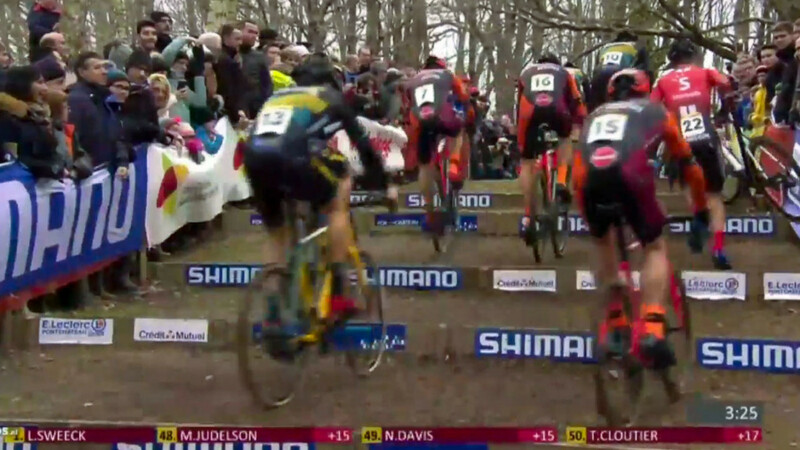 A handful of cyclocross pros who just couldn’t get enough of a good thing took one for the road with Sunday’s Vondelmolen Kleicross in Lebbeke, Belgium. 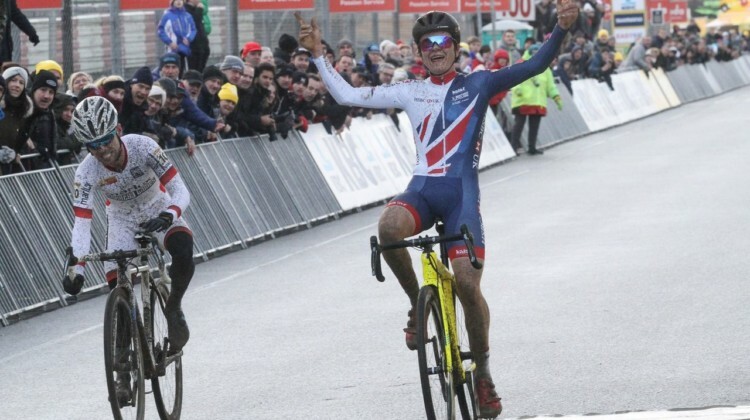 Rounding out the Soudal Classics Series, and the UCI Cyclocross season, Mathieu van der Poel eked out another win on Leuven’s technical course. 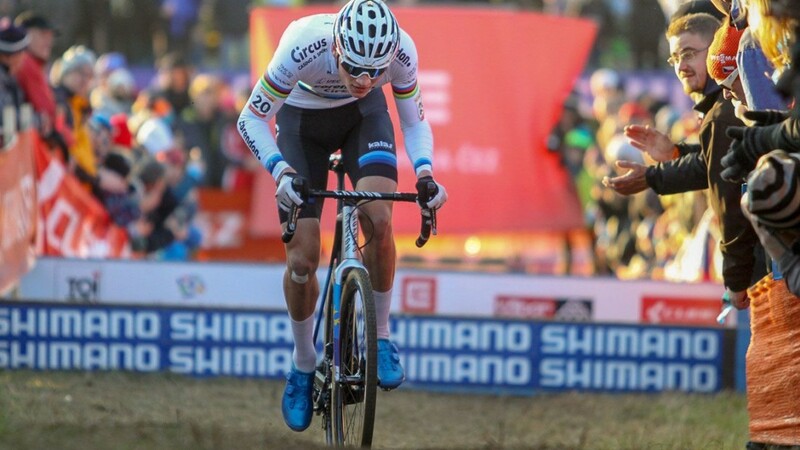 Mathieu van der Poel continued to turn the screws on Wout van Aert, taking the win at today’s Hansgrohe Superprestige Middelkerke, as well as the general classification title, in an extremely technical, muddy, and hard-fought race. 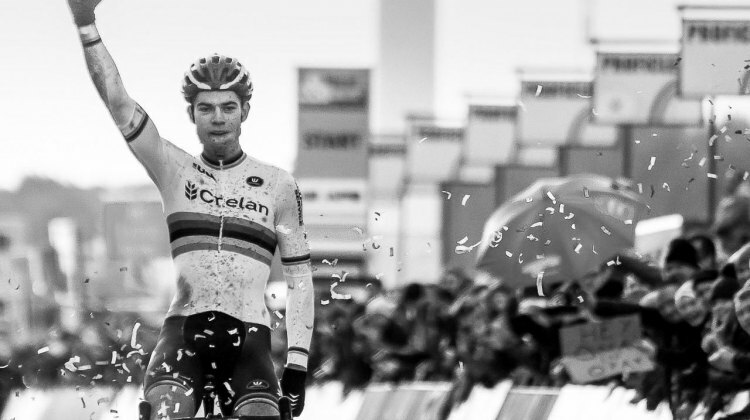 For three straight times, Van Aert has finished second to Van der Poel. 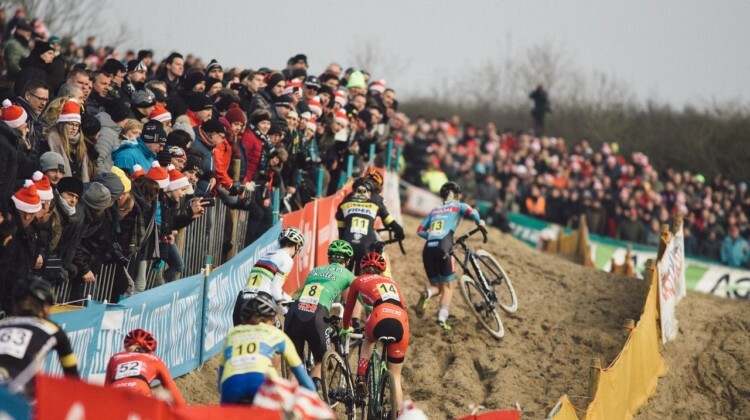 During Monday’s Boxing Day tilt at Heusden-Zolder, Van Aert returned to his early-season form and delivered a knockout blow to earn a European World Cup victory.